It’s easy to see why Singapore is considered to be the most wheelchair accessible city in Asia. The city center is quite flat, it has a robust and modern subway/metro and bus system, virtually all major tourist attractions are accessible, and most sidewalks are very well maintained. Like any other city, Singapore can make some improvements. However, it was an absolute joy to know I probably wouldn’t experience any serious obstacles during my stay. Here are my tips for navigating the Lion City in a manual/power wheelchair or electric scooter. The airport is often your introduction to a new country, and Changi is one of the most beautiful I’ve seen. There are plenty of separate wheelchair accessible toilets throughout the airport, and the signs for lifts are easy to see. Be aware that how you get taken off the plane, transported through immigration, and reunited with your wheelchair and baggage may vary depending on the airline you fly with and your destination when you leave. 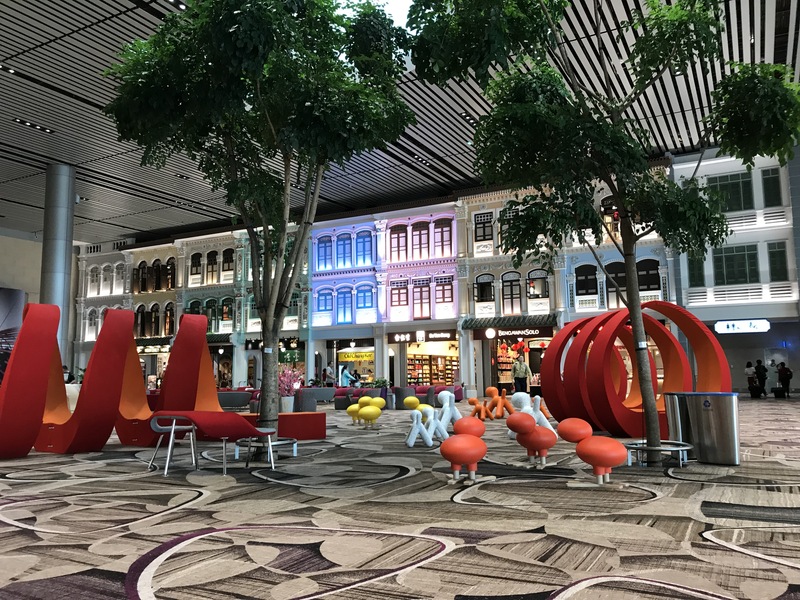 Remember that the ACAA does not apply if you are not connecting with the US, so they may not bring your chair to the door of the plane when you arrive in Singapore. I had to get my scooter at baggage claim and endure a very uncomfortable ride in a hard airport wheelchair, despite the fact that Singapore Airlines assured me in New Zealand that this would not be a problem. They also would not let me stay in my scooter until I boarded at the door of the plane; they said they had to take it to load it onto the plane, so I was stuck in that hard chair for half an hour before boarding. Make sure you are VERY clear about your safety and comfort needs both when you depart for Singapore and when you arrive. The only time I used a wheelchair taxi during my stay in Singapore was for my airport transfers. 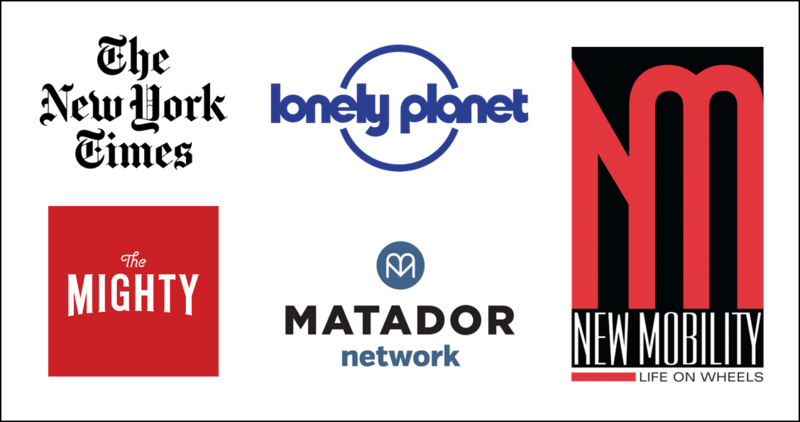 I booked my transfers via email about three weeks prior to my trip with Limousine Cab. The cost for the round-trip transfers to my centrally located hotel (the Marina Mandarin) was SGD$120, which equals about US$100. I was transported in a van with side entry and a manual/portable ramp. They also offer accessible London Cabs, which are better suited for small manual chair users. I was offered the option of staying in my scooter or transferring to a van seat. I absolutely LOVED using Singapore’s metro system! It was very modern, clean, and easy to navigate. 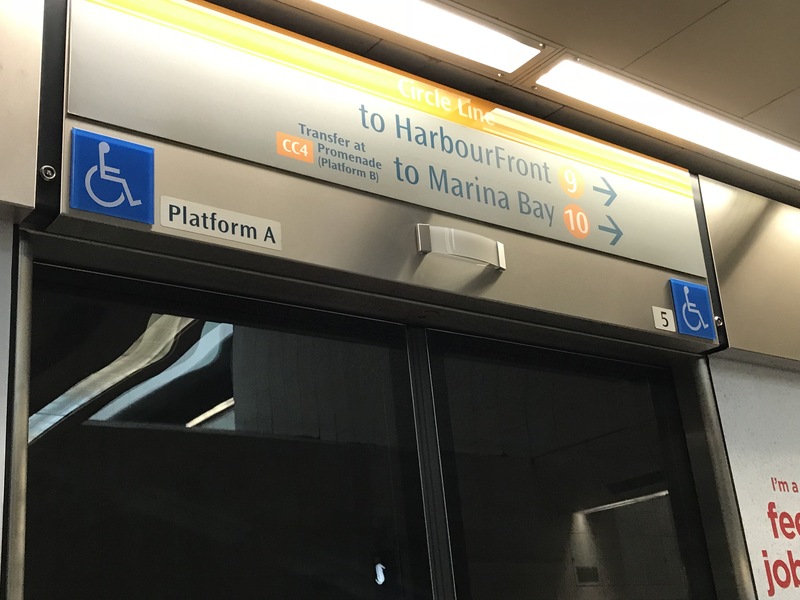 There are signs on the outer doors to let you know which train cars have wheelchair spaces, and those cars often have a small extension to further narrow the already-small gap between the train and the platform. At no point did I have any trouble rolling over any platform gaps. Finding the station elevators, especially above ground, can be tricky because some stations have multiple entrances. The great thing is that all elevators have a Braille plate (i.e. metal stud) path leading to them for the visually impaired. If you can find these paths, you know you’re on the right track towards finding the elevator. All MRT stations are equipped with barrier-free facilities like ramps, lifts and wheelchair-accessible toilets for use by elderly and persons with disabilities. 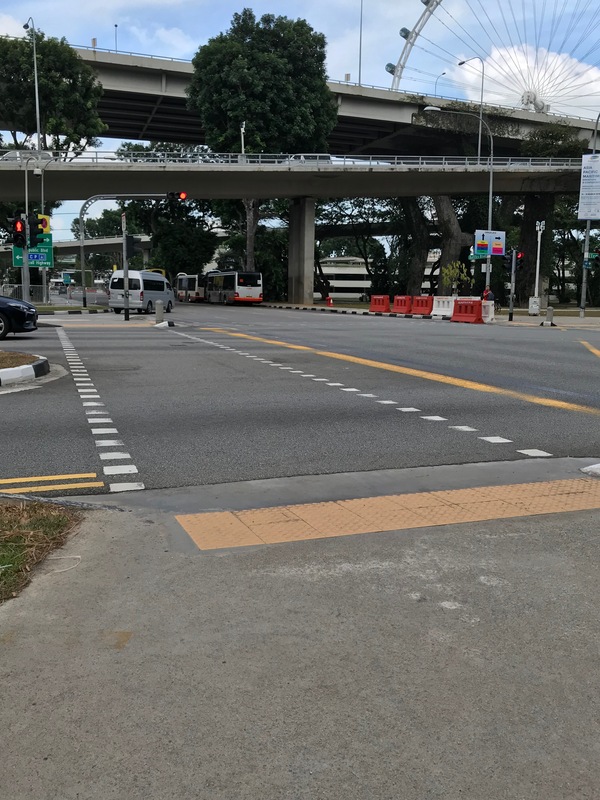 More than half of Singapore’s public buses are wheelchair-friendly, and the large majority of bus stops island-wide are designed for barrier-free access. To identify wheelchair-accessible buses, keep a lookout for a blue passenger-in-wheelchair decal at the front of the bus. After the driver sees you, he will get out and unfold the ramp for you from the floor of the bus. 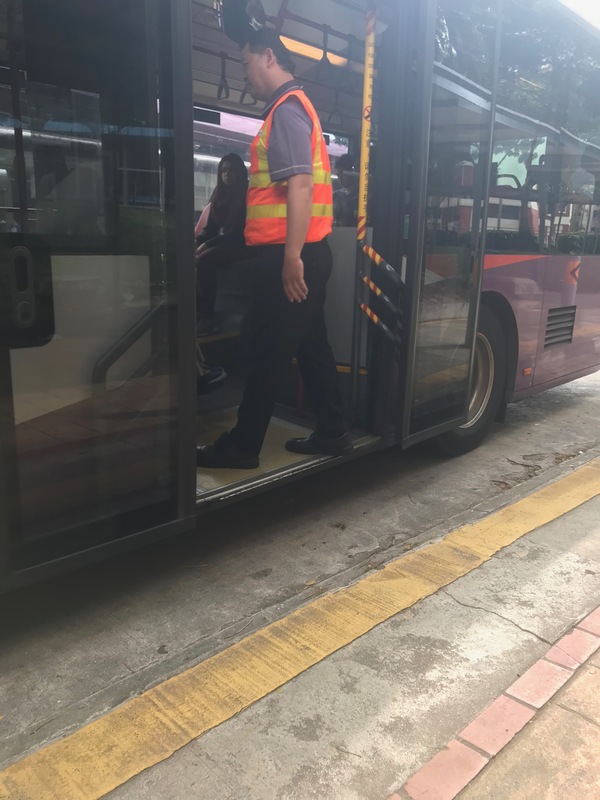 Bus drivers are well-trained to provide assistance for boarding and alighting. Pregnant women and the elderly can rest on designated priority seats on board. For the visually impaired, tactile guidance systems are also available at bus interchanges to facilitate travel. All wheelchairs, manual or motorised, will be allowed on board if they are within the dimensions of 70 cm in width and 120 cm in length. I mostly stayed in the main tourist areas of Singapore, and I found the sidewalks to be in great shape with smooth curb drops everywhere. There are some ramped areas that are a bit steep, and will take more work for manual chair users. There are also some areas where finding a spot to cross a major highway/thoroughfare can be a bit challenging. In almost every case there is an overpass or underpass (e.g. crossing Esplanade Way to get to and from the Raffles mall area), but you may find yourself doing some backtracking just to figure out where you can cross the street. Also, not every overpass is totally step-free. The locals are incredibly friendly and helpful, and they have to use the same methods to cross the street in areas where there are no crosswalks, so don’t hesitate to ask for guidance. Two things you will never lack for in Singapore is food and stuff to buy! It seems like there’s a shopping mall on every corner, which means that stores and restaurants there are very wheelchair accessible. 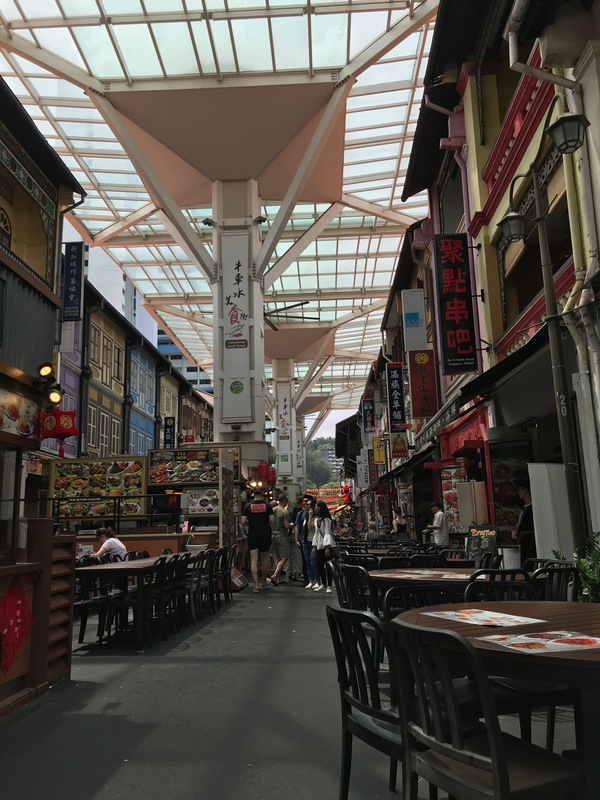 Once you get out of Marina Bay area, you may encounter more stores and restaurants with a step to get in, but many have alternate entrances with flat entry. The hawker markets in Chinatown even have tons of outdoor seating, and shopkeepers will bring you anything you want to see but can’t reach. Cashiers at food stalls and stores will also come around the counter to you to exchange money or take your credit card. Now that you’re prepared to roll around Singapore, check out my recent post, 11 Wheelchair Accessible Things to Do in Singapore! Hi Julie! 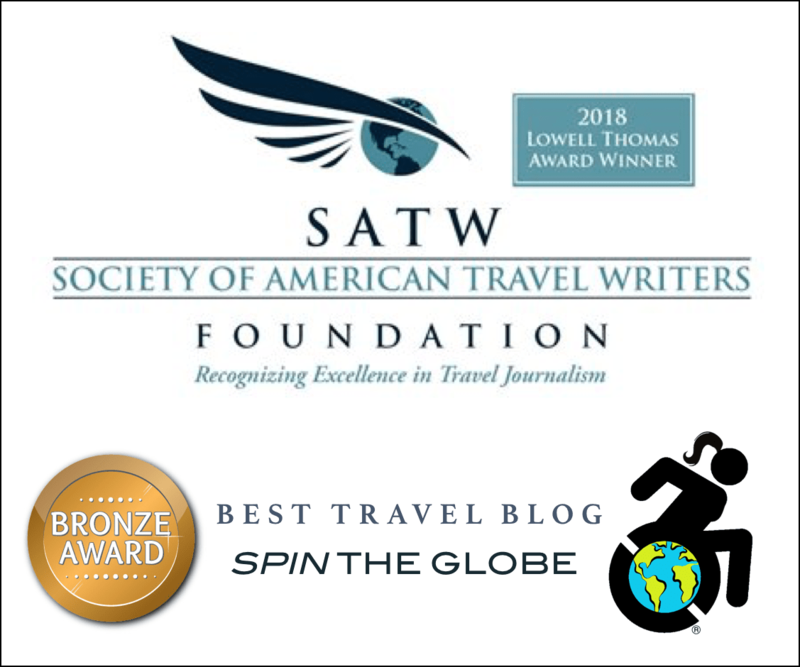 Please email me at sylvia@spintheglobetravel.net with the location, specific dates, and specific budget per night. Thank you!